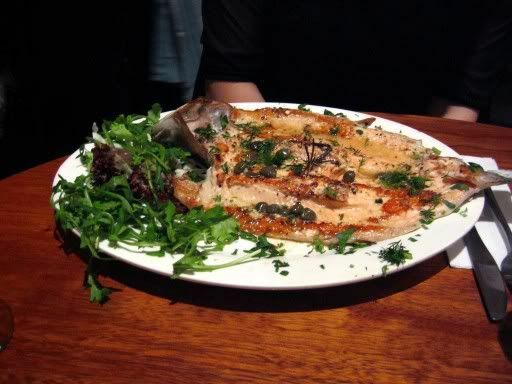 Lygon Street, the heart of the Italian community in Melbourne, is a must visit area for people looking for cosy, authentic Italian restaurants close to the central city area. 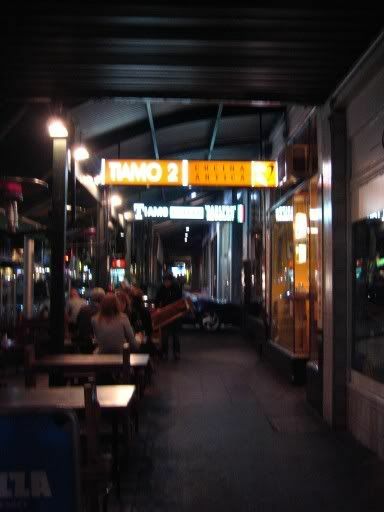 That night, we chose to dine at Tiamo 2, a popular restaurant at the quieter side of the street. It's interior is normal (and rather cramped + noisy) but still, it's very cosy though probably not a good venue for a romantic date. 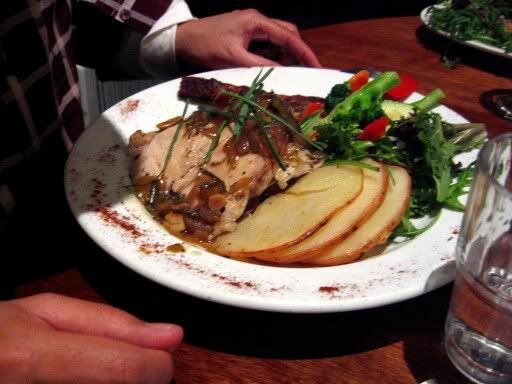 At Tiamo2, there is a decent variety of items on the regular menu and also an ever changing array of Daily Specials to keep you coming back. Mmmm... oh Roast Pork, oh wonderful porcine goodness - so juicy and tender with that wonderful herb sauce. The Sea Bass was also fantastic - fresh and cooked juuuuust right, with the tender flesh sweet with natural juices, accentuated with a hint of lemon. If you ever see it available on the Daily Special when you go there, ORDER IT (Seriously! ... Do watch out for the bones, k? - I was greedily gobbling the fish and almost swallowed a few bones in the process). 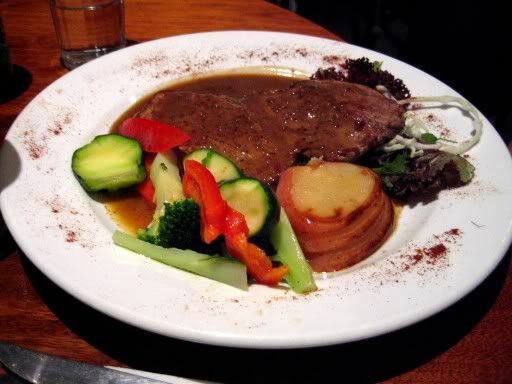 The Steak Diane, served with a robust worcestershire, garlic and wine sauce, was tender and generally, ok. The Maccharoni Della Zia was pretty good, pasta with meatballs and eggplant in a tart homemade tomato based sauce - wholesome and fulfilling, how a good Italian pasta should be. The Lamb Shank was the best of these three, with the meat succulent from the time-consuming braising. It had a very delicate flavour though, akin to the traditional Italian style (This is a downside to me, because being Malaysian I love everything heavily spiced). 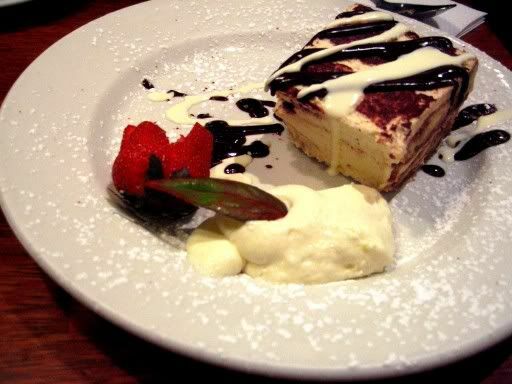 The tiramisu was really good - creamy and moist with just a hint of alcohol. 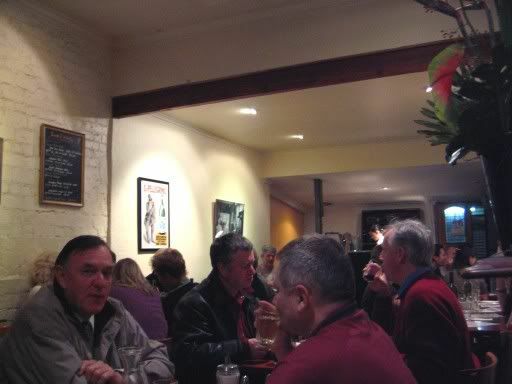 So it's: Affordable, authentic Italian food near the Melbourne city center with friendly service (waiters not very attentive though - too busy) BUT cramped, noisy environment and limited wine selection . Yeah,... when it's cooked well, it can taste so so good! Erm... sorry my halal friends out there - tolong jangan marah, k? - I can't help my cravings for [insert the name of the unhalal meat here]. 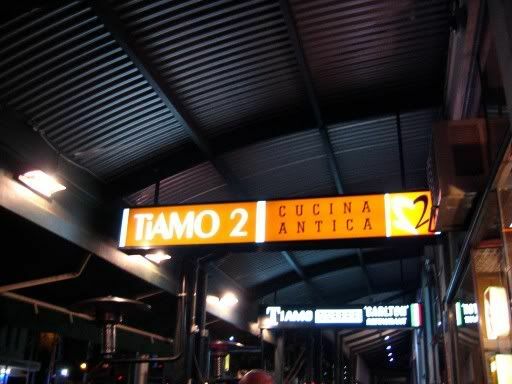 My regular orders in Tiamo 2 are the crab bisque and spaghetti don giovanni. 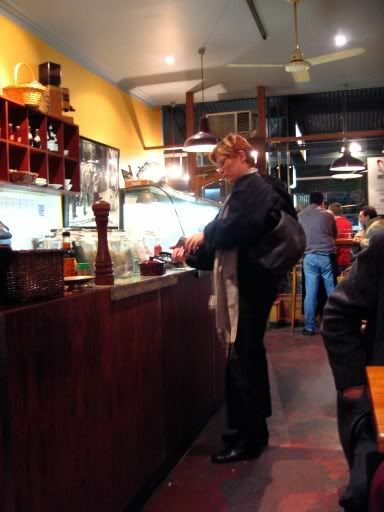 Spent many days in this cramp but cosy restaurant and is a must visit on Lygon street. Yeah.... it's definately one of the better restaurants in the Lygon St area. So maybe there'll be a Tiamo3?